Vitamin Benefits - find out what can save your poor dietary habits. The food you eat has direct impact on your health. You morecontrol over your health than your think. It is important to practise "Balance. Variety and Moderation" when making food choice. One of the many vitamin benefits is that supplement can help to enrich or fortify the diet. Supplementation is useful if the adequacy of a diet is in question, or if a person's diet is deficient in one or more of the nutrients needed for a healthy body. Dietary supplements should be based on sound nutrition documentation, with good manufacturing procedures and stringent quality control. They should not be based on nutrition quackery or food fads. Good nutrition is taking in the right combinations of food in sensible proportions every day, including water. proteins, fats. carbohydrates, fibre, vitamins and minerals. Our dietary needs change as we move from childhood to adulthood. Other things that can impact your nutritional requirements are stress, pregnancy, and physical exertion. Food supplementation offers nutritional insurance for those of us who want better control of our nutritional intake. Why Choose The Best Multivitamin Multi-mineral Supplement? One of the main reasons is that eating habits and lifestyles have changed dramatically in recent years. Whole grains, fresh fruits and vegetables were once the mainstay of our diet and they still should be. Being complex carbohydrates, they not only give energy, but also essential nutrients. However, today they play a relatively minor role in our diet. Instead, most are turning to diets that are high in fats and simple carbohydrates. Therefore, many of us are getting more calories from the consumption of fats and sugars, which are low in essential nutrients. The faster pace of life results in more and more stress. Thus, we are faced with the paradox that while stress is increasing our needs for nutrients, our diets consist of less nutrient-rich foods. Helps to promote balanced diet by providing essential vitamin and mineral that may not be sufficient in our daily diet. Help to supplement the diets of those who may have increased nutrition requirements e.g. athletes, pregnant women and growing teenagers. What Is In A Multivitamin Multi-mineral Supplement? A typical multivitamin mutiminearl pill must contain 100% or more US RDI of 11 essential vitamins – Vitamin A, Vitamin B1, vitamin B2, Niacin,vitamin B6, Folic Acid, vitamin C, vitamin D, vitamin E and panthothenic acid; plus 7 essential minerals – calcium, phosphorous, iodine, iron, magnesium, copper and zinc. A multivitamin regime is essential for everyone as recommended by many health experts. However, in order to meet the demand of high stress and erratic dietary patterns, most people need more than a multivitamin and multimineral supplement. Where you can get a dietary supplement that serve you beyond a standard multivitamin? 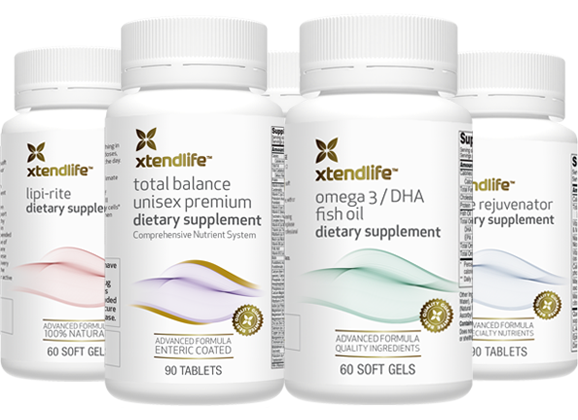 In our search to find a balanced dietary supplement, we have found Xtend-Life's Total Balance is the best choice that will serve the purpose. It serves you more than a standard multivitamin multimieral can do. Below are vitamin benefits of total balance. A sharper and clearer mind. Less susceptibility to colds, flu’s and viruses. More information about Total Balance. Read our review about Xtend-Life Natural Products. Benefits of omega 3 fish oil. Return Nutritional Supplement guide page for more vitamin supplement guide and tips. Go here for more vitamin benefits and vitamin information.